Best Caterers In Melbourne | Looking For A Catering Company? We at Applause are proud to collaborate, and work alongside with, many talented suppliers in the events industry. The success of every event is due to the accumulation of the expertise of the many suppliers and services across different fields, working in sync to create the perfect experience. The knowledge of our suppliers, then, is highly valuable, especially to YOU. That’s why this blog was written by our guest blogger, and trusted professional caterer, ACC Catering. Read on to find out the best tips on picking the right professional caterer, straight from those who are in the know. How involved and approachable a caterer is at the beginning of your first meeting will give insight into how the overall event will be executed. 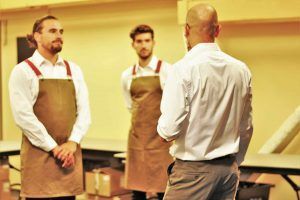 The caterer should learn all they can about the event and client in the first initial conversations in order to help them deliver a faultless event. The more questions asked by the caterer the better the overall outcome for your special day. Product and service are two of the key elements when opening a catering business. If the caterer is not concerned about the product or the service there is something wrong. Caterers all over the world will pride themselves with the “best food” or the “freshest ingredients” this is all very important, but the caterer must also be able to return calls and introduce new ideas to win the title for No.1 caterer. Every detail is important and every concern from a client must be answered by the caterer promptly. 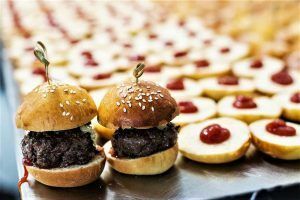 If a caterer is not asking questions, they could simply just be looking for the events that are bringing in the big dollars, rather than focusing on an exceptional outcome. The world is full of a large array of caterers that specialize in all types of events. 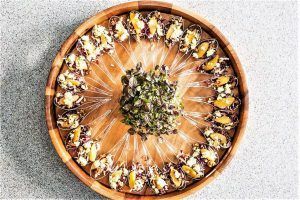 A long history in business with a proven track record of delivering exceptional events, is at the top of the list when looking for a great caterer. If you are looking for a particular caterer for a specific event, it is important to ask lots of questions. There are plenty of caterers out there who will promise their clients the world, when really the caterer is only trained in one type of event, for example: boutique social events, large corporate events, intimate weddings, etc. It is important to look at caterers previous events. Are these events similar to something you would like to hold? You need to be specific and clear about your needs. If you don’t make yourself clear, some caterers will do what is best for their business when really they should be doing what is best for you. It is YOUR event, they are working for YOU. Organization and thoughtfulness is a key trait to look out for when choosing a caterer. All caterers have a standardized menu that they can mould to the requirements of their clients. They can substitute certain items, allowing them to be completely flexible. Yes this is important, but what you want is a stand out caterer who will go above and beyond to help create a menu that is right for you. These caterers can create and match a seamless menu to your budget that includes all dietary requirements. A top caterer will accustom their menus to your wants but will also have a team who can execute the overall product on the day of the event. You must ask all your questions when you first meet your caterer to make sure that they will be the right fit for you. 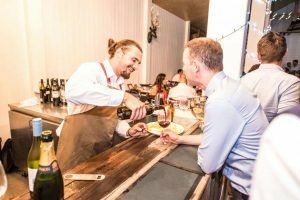 In order to understand what a caterer is capable of or what their menu tastes like, it is important to organise a tasting to be introduced to all the menu options. The caterer is there to help you find a menu that fits your particular event. Tastings are regular procedures all caterers deal with. Tastings help the client and the caterer to overview and answer all underlying questions about the flavour and presentation of the food. All caterers have different abilities; this is why you must be clear as to what you desire. You may have certain requirements that must be considered before finalizing your menu, this is why it is important communicate with your caterer. It is essential to consider all options at the tasting this will help diminish all apprehension about the menu before the special day. 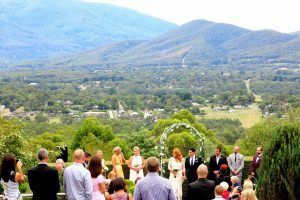 Not all caterers offer a range of venues or are familiar with operating in a multitude venues and settings. Some venues may have certain restrictions when it comes to particular events and clients requirements. This is why it is important to clarify with the caterer that they are accustomed to the particular venue you have chosen for your event or ask if they know of any venues that would suit. ABIA awarded ‘2017 Australian Caterer of the Year’ – ACC Catering is the only Melbourne based catering company that runs a standalone venues, Melbourne Venues where they promote venues that they work alongside. This website is complete directory of “Melbourne’s most unique and captivating venues”. This allows ACC Catering to offer a range of unique venues whilst being familiar with all venue requirements, this paired with ACC Catering’s exceptional food and service will create a stress free event with a single point of contact.